In this post: The Christian meanings behind the 12 days of Christmas song. 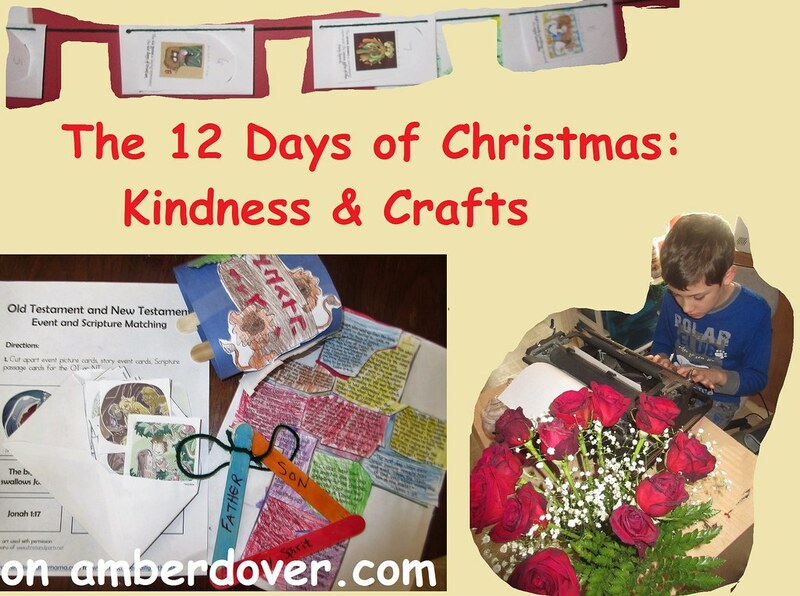 Crafts and acts of kindness to go along with each day. Hello, dear ones! This is our second or third year celebrating Epiphany, I believe. I’ve really enjoyed learning about the 12 days of Christmas and how the song represents Christian beliefs. We did so many activities during Advent and several of them were self-gratifying. I want to get my eldest son focusing on others and so I’ve decided to use the 12 days as the time for random acts of kindness. I also wanted to incorporate Biblical crafts/games each day. Unlike previous posts, I’m sharing the list and ideas we’re using…not pictures of us doing the activities. I’ll admit I’m a bit burnt out from all the Advent pictures. Imagine that! 🙂 Yes, college is on the horizon and our homeschool holiday break is almost over. I need to slow down in some areas of my life and focus more on others. Well, I hope you can use these ideas. Here we go! First, I made a chain of 12 envelopes. I found pictures of the12 gifts and what each represents. I stapled those to the front of the envelope. I put a note with an act of kindness in each envelope. Then we do a craft. We also made this Random Acts of Kindness Cootie Catcher. A Partridge in a Pear Tree (Jesus & the Cross)~ Leave encouraging notes for family members. Here’s a beautiful cross puzzle craft that shows how Jesus fulfills prophecy. 2.Two Turtle Doves (The Old & New Testament)~ Leave this treat for the mailman. Fill out the enclosed note with a “thank you” and tape it to the treat. An Old and New Testament Bible Matching Game. Do you know all the stories and what order they go in? 3.Three French Hens (the Trinity)~ Do another family member’s chore. 4.Four Calling Birds (the four gospels)~ Spend a full 30 minutes playing with your sibling. Do what they want to do. 6.Six Geese a Laying (the 6 days of creation)~ Make a homemade card thanking the pastor for what he does. 7.Seven Swans a Swimming (the 7 gifts of the Holy Spirit mentioned in Isaiah 11:2-3)~ Play Bingo at the nursing home (volunteer where you can). 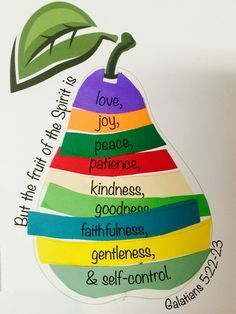 The gifts of the Holy Spirit craft. Note* These are based on the Old Testament. We plan on matching the New Testament gifts with the Old Testament list of gifts. 8.Eight Maids a Milking (the 8 beatitudes)~ Pick up litter at the park. A Beatitude Hand Print Wreathe~ The link is just the picture. 9.Nine Ladies Dancing (the nine fruit of the Holy Spirit) ~ Make a meal for your family and donate online to a family in need. 10.Ten Lords a Leaping (the ten commandments)~ Take ten minutes to write a prayer list and to pray for others. Then text and let them know you prayed for them. 11.Eleven Pipers Piping (the eleven apostles without Judas)~ Buy blankets for the homeless. 12.Twelve Drummers Drumming (The 12 points of doctrine in the apostle’s creed)~ Give lots of hugs and “I love you”s. Also, write a note thanking Jesus for His gifts. We plan on writing out the Apostle’s Creed on a painting of the Wise Men for Epiphany. We will probably celebrate Epiphany with a crown craft and treat. Maybe we will play the song on the piano. Well, happy Epiphany! God bless & remember the High King lives!